A personality inventory is a self-assessment tool that career counselors and other career development professionals use to help people learn about their personality types. It reveals information about individuals' social traits, motivations, strengths and weakness, and attitudes. Experts believe these factors play an important role in job and career success and satisfaction. People can use what they learn about themselves to choose a career or decide whether or not to accept a job offer. Employers frequently administer personality inventories to applicants to assist in hiring decisions. It allows them to learn which candidate is the best fit for the job. Personality inventories can teach you about yourself which will, in turn, help you learn what occupations and work environments are a good fit. In addition to learning about your personality you determine whether a career is right for you, it is essential to also consider other factors like interests, values, and aptitudes. A self-assessment, including taking a personality inventory, is just one step you must take to find the right career. Explore the occupations that seem to be a good match based on your results. Consider job duties, earnings, requirements, and occupational outlook to find out if you should pursue a particular career. If you are working with a career counselor or other career development professional, he or she may offer to administer a personality inventory as part of a complete self-assessment. Many companies that publish personality inventories only allow qualified professionals, such as counselors and psychologists, to administer their products. You will also find self-administered personality tests online. 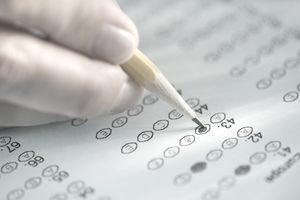 Since many of these online assessments lack test validity—that means they don't measure what they should—the results could lead you in the wrong direction. If you find a free assessment or low-cost assessment you want to use, scrutinize your results carefully. If they seem questionable, avoid making decisions based on them. What can you expect when your career counselor tells you she is going to have you take a personality inventory? It depends on which one she is using. Some personality inventories are paper and pencil tests while others are computerized. You may finish some in just 15 minutes while others take close to an hour to complete. Some assessments have different versions based on age and reading ability. The career development professional who administered the inventory should explain your results to you. Some things you learn may surprise you, but others won't. You may find out you have traits and characteristics of which you were unaware. There may be others you knew you had but didn't realize how strongly they could influence your career satisfaction. You may have always known, for example, that you love being around other people but didn't realize you would enjoy your work more if it involved a lot of teamwork. Or you may have been aware that you get bored easily but didn't think that you could solve this problem by looking for a career that offers a lot of variety. Use your results to find occupations you hadn't considered previously or use them to verify that a career you had in mind is right for you. When you know about your personality, you can also make decisions about the environment in which you would prefer to work. This can be very helpful when evaluating a job offer. There are many personality inventories on the market. Here are a few. Your career counselor will choose the right one for you. Myers-Briggs Type Indicator (MBTI): This is the most well known of all personality inventories. It was developed by Katharine Briggs and Isabel Briggs Myers based on Carl Jung's theory of personality type. The MBTI looks at the 16 personality types that indicate how an individual prefers to energize, perceive information, make decisions, and live his or her life. Sixteen Personality Factor Questionnaire (16PF): This inventory measures 16 primary personality factors that are thought to make up an individual's personality. Companies may use it to help with staff selection. NEO Personality Inventory: The NEO-PI looks at five dimensions of personality. It should only be used to confirm or clarify the results of other inventories.